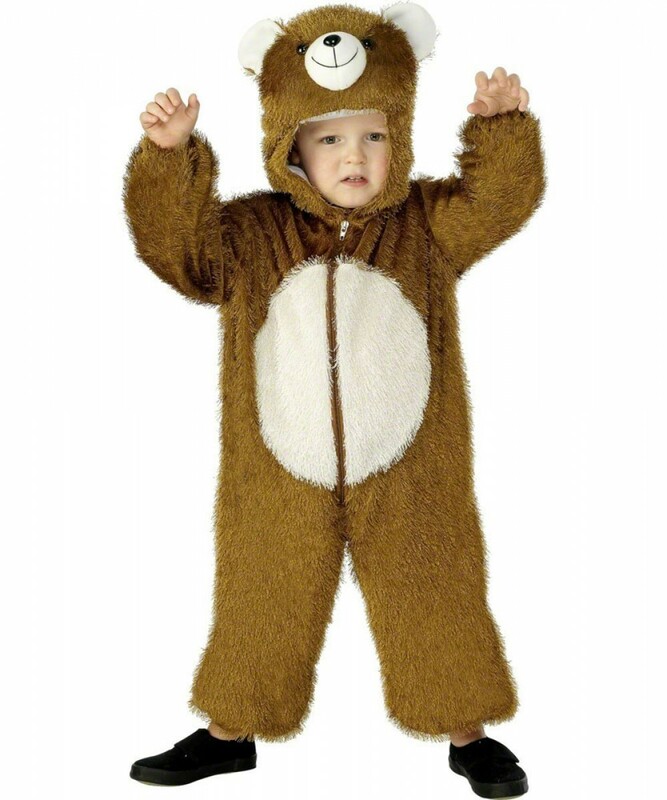 A children’s Bear fancy dress costume – suitable for both boys and girls. Great for book week. 2 Sizes (from 4-9 years). 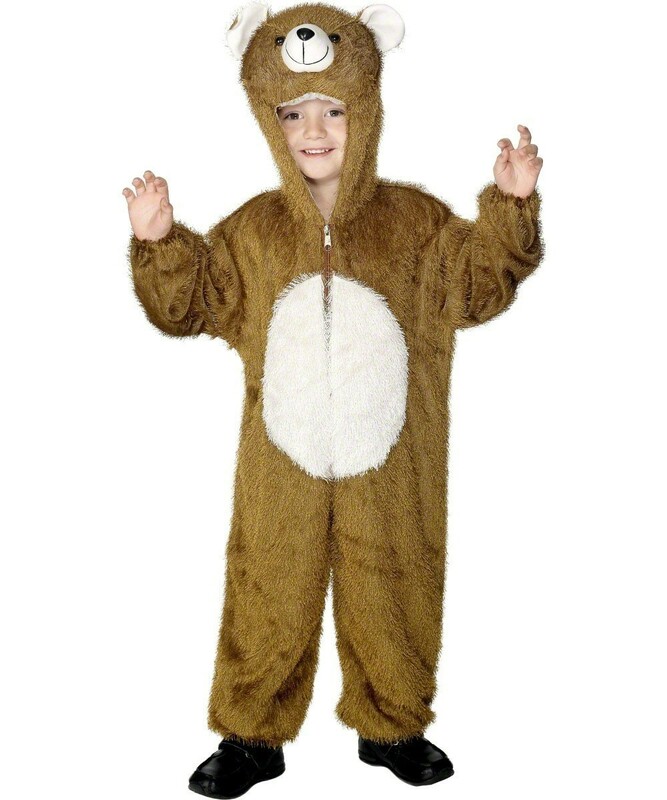 Furry animal body suit with attached hood containing the animals face. The suit simply zips up to fasten and is covered in a soft string effect to create a furry look. The hood has a cute button nose, beaded eyes and padded ears – for a classic teddy bear look! The hood does not cover the face making it easy to wear this item all day long! This classic Teddy Bear is perfect for Book week or just for fun dress up!